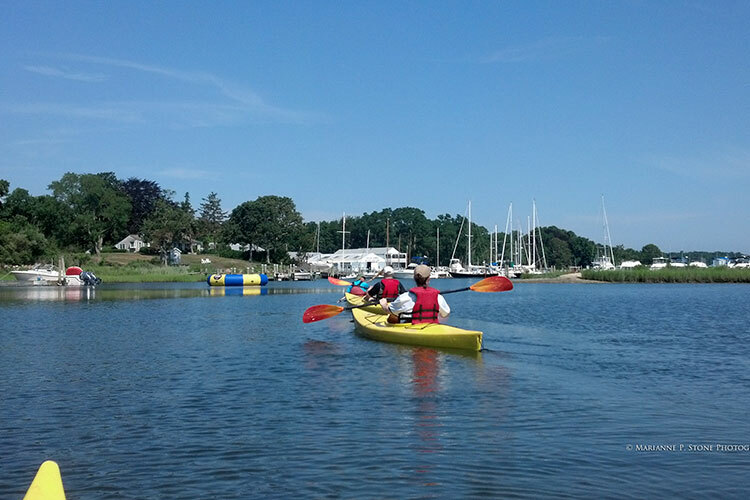 If you prefer a self-guided trip, Shelter Island Kayak also provides rentals. If you are interested in exploring the COECLES HARBOR MARINE WATER TRAIL, a joint project of Shelter Island Kayak tours, The Nature Conservancy and the Town of Shelter Island click here. You can also download the Shelter Island Chamber of Commerce map here. All boat rentals have a two-hour minimum, call 631-749-1990 or text 631-926-6755 to find out about weekly and seasonal rental prices.